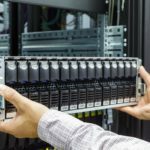 Data Center Specialties In addition to the products and services listed above, DataSpan offers specialty solutions to your most pressing data center needs. As your company grows, so do your storage needs; which means you need more options and more space every year. Our host of storage products and services ensure your data is safe, available, and exactly where you need it, when you need it most. From cloud-hosted to disk storage, we offer the products you need to handle your data storage needs. A solution to your data storage challenges is just a phone call away. Simplify and optimize your storage infrastructure for greater flexibility and efficiency, faster recovery and reduced data storage costs. While your most important and readily accessible files need to be available on primary storage media, tier two storage can be used to cheaply and effectively handle everything else. 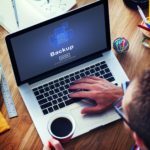 Whether you need to back up a single terabyte or 50 petabytes, we offer the backup solutions you'll need to protect your data in the case of a catastrophe, from single drives to tape libraries and cloud-based storage. Eventually, your data will need to be archived, and we offer the tape, cloud, and other storage media you'll need to ensure your data is safe and accessible when needed. 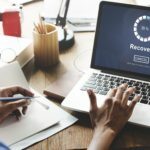 Protect your data environment with a solid Disaster Recovery strategy. 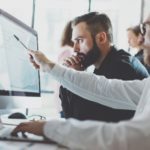 Backing up all your data to the right storage medium is critical, but how do you manage that data in the years ahead as your company and staff changes? DataSpan can help. Regardless of the types of storage you're utilizing, you'll need our professional team to maintain, service, and perform upkeep to ensure maximum performance.